94-98 VS 99-04 Header guide! There has been a lot of talk on the forums about shorty headers for our sixers and there have been lots of idea's about them. I am here to show you why you need to keep your 94-98 Headers and swap those old 99-04 Logs out for a set of 94-98 headers! First off I will show your the size differences of the two, starting with the 94-98 Headers followed by Pro's and Con's. 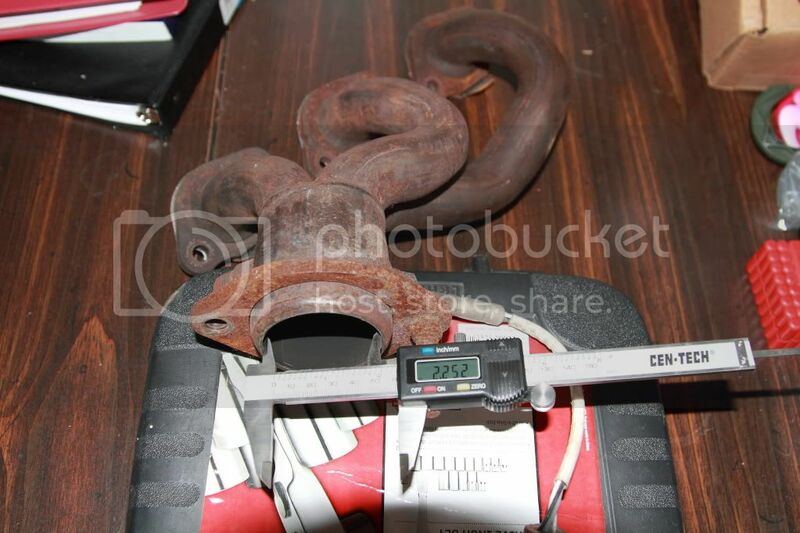 Collector Size 2 1/4" | 2.25"
Just comparing these you can see how much larger the 94-98 Header really is. Here is a short list of Pro's and Con's. Con: Fire cone / merge point can have excess slag that needs to be removed in some cases. My 95' headers were clean where my 96' headers had extra slag. Con: O2 sensor in collector. Hard to get to. Con: Lack of a Real real Fire cone at the merge point. A note that I feel is very important is that I measured the exhaust ports on the 94-98 and 99-04 Heads as well. Here is what I discovered. The 99+ splitport has an awesome intake side to the head allowing large amounts of air into the head, unfortunately Ford made the exhaust port smaller than previous years 94-98 Single ports creating a large bottle neck. Don't worry though, this can easily be ported with a flap wheel sander even while it is in the car! Exhaust port shape doesn't mater a difference in the headers or flange. Side to Side: 1 1/2"
Top to Bottom: 1 1/2"
Corner to Corner: 1 11/16"
Side to Side: 1 3/16"
Top to Bottom: 1 3/16"
Corner to Corner: 1 3/16"
I hope this has helped everyone out. Tell me what you guys thought. Note: When using 94-98 Headers on a 99-04 you need to have an exhaust shop enlarge the inlet by 1/4" and bring your 94-98 Headers down for fitment. Last edited by NeoTokyo; 06-01-2011 at 09:44 AM. RE: Once and For All 94-98 VS 99-04 Header guide! STICKY!!! I took all the measurments myself, used my own pictures where applicable, its all me baby! Awesome info. Would I be able to swap my 99-04 stockers for some 94-98's? Mine are cracked might as well "upgrade". I did not have to modify the 2000 EGR tube to work with the 96' Headers that I used. It all lined up perfectly for me and cutting was not needed. I have heard others say that cutting is needed though in my case it was not. Nothing was modified from the 2000 specs to fit the 96' Headers. You certainly can, just remember in doing this swap that you need to put your O2 sensor in the header instead of the exhaust tube behind it. There is a chance it may not fit, but give it a try, if it does not fit you can buy a 96-98 one and be fine. The EGR bung is also angled a little differently so the best way to take care of this is to go buy a Turbo hose (Rubber hose with fiberglass for high heat and pressure situations.) now cut the tube where you want (Preferably before the two hoses that come off) bridge the gap with the turbo hose and use hose clamps to screw it tightly in place. Here is a picture giving you two different spots that you can bridge the gap, whichever one you like. And since turbo hose comes in blue, red, black and other colors you may want it up top to show or down low to hide. Do you mean the header or just the O2 sensor might not fit? And before you said 94-98then here you say 96-98. Whats the difference? No the header will bolt up just fine. The reason why I say 96-98 is because I am talking about the O2 sensor. 94/95 had a slightly different O2 sensor that will screw in but may not read correctly. Dont worry though, I am almost 100% sure your stock ones will fit the 94-98 Headers. You will have to have a shop enlarge theinlet on your stock Y-pipe by 1/4" overall though to make these work. Its cheap and easy. Bring down your 94-98 Headers as a fitment guide. Thanks for all the info! Care to elaborate on porting the 99-04 exaust ports? I love a free mod! Quick Reply: 94-98 VS 99-04 Header guide!